Select one of the frequently asked questions below to learn more about living with APS. If you require any more assistance, please feel free to contact us. Yes, you can view any of our available properties just contact us either on the telephone, via email or complete the contact us section on this website. We can arrange for you to view as many properties as you wish at a day and time to suit you. Please note that we do need to give the existing tenants 24 hours notice so you would not be able to view the same day. A contract is a legally binding document that lays out the terms and conditions for renting a property from APS. You can view our contract on the website, no small print or nasty legal jargon. How often and how do we pay the rent? You have 3 payment options, a one off payment of the full amount with a 5% discount due at the start of contract, monthly payments are due 1st of each month for 10 months, or semesterly being 4 payments the 1st due at the start of contract, then October, February and May to coincide with your loan. All payments are to be made by Direct Debit. What is an inventory and how do we complete it? An inventory is a list of all items that are to be found in the property and the condition of these items. The first person to collect their keys will be given the inventory and they should complete the general section and check all bedrooms as soon as possible. The inventory should then be handed back to APS within 7 days. It is very important to complete the inventory as this is proof of the condition of the property at the time of receiving the keys. Why do we need to be inspected? Inspections are a way of checking that everything in the property is working, there is no damage and check if any maintenance is required. How do we report problems with our house? You can either call us if the problem is urgent (no hot water, heating or water leak) or for less urgent repairs please e-mail us. You can collect your keys as from the first day of your contract from our office, just check our website before you set off for our opening times, or just call or email to arrange a day and time. Some of our houses offer off street parking and others are in non-permit areas, but the majority of our houses are within areas that operate a parking permit scheme which is managed by the Council. Please see the parking section undertenants; helpful information for more details on pricing and how to apply. We have introduced a non-refundable booking fee for each tenant that signs a contract with us. This is not held as a deposit as we still do not charge deposits. Do I need a guarantor and why? Yes we require a guarantor to be in place before the start of the tenancy agreement. Your guarantor is purely guaranteeing your rent and any other costs that may arise i.e. from damages. They are not acting as a guarantor for anyone else you live with. The form is available to view under the tenant section. If you are a first-year student you will need to apply for accommodation through the University of Lincoln. If you are unsure if you would like to live in one of our blocks, we are more than happy to show you around on an open day or a private tour can be booked independently. Please see the contact us page for future details of how to get in touch with us. If you are in your 2nd, 3rd or are a master’s student, you would apply for a house, apartment or room through us directly. Please feel free to contact us via the contact us page for further details. All of our houses are 48 week contracts. We offer 48 week contracts at Hayes House and we offer 48 and 51 weeks at Saul House. We offer 3 different payment options; you can pay it all in one, monthly or 4 payments; 1 payment at the start of the contract and 3 others to coincide with student loans. As a family business, one of the benefits, is we are able to tailor your payments if you are really struggling with the payment options, you just need to talk to us and we can work it out with you! All rent is paid via direct debit, you can see the form that is to be completed on our tenant information section. How do I report faults / issues with my room or apartment? Any faults can be reported either over the phone or via email. 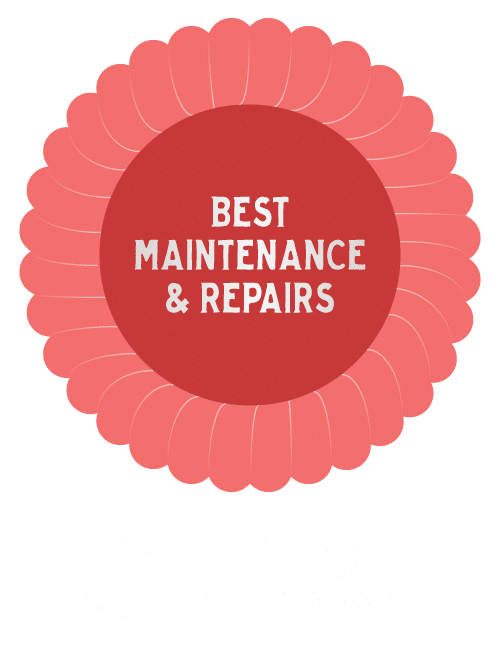 We have a two-man maintenance team who are located in and around Lincoln Monday to Friday, so any issues that are logged are dealt with swiftly and within the timescales stated in the University Of Lincolns Code Of Practise. We also have a 24/7 emergency call out a number which is manned by a member of the family. We provide the TV licence in all our accommodation.